Ron and Maggie Tear Photography: Carmine Frenzy. South Luangwa Park is legendary in Africa's reserves. We visited purpously in October, the start of the short rains and arrival of the Carmine Bee eaters. I have wanted to see these ever since we have beeen going to Africa ! My chance came at Kafunta Lodge, the experienced guides knew where they were ! 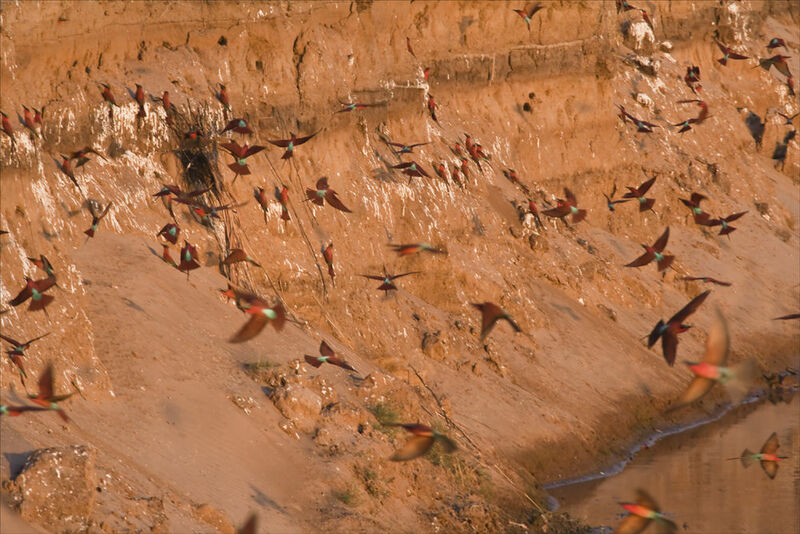 Along the Luangwa river the banks were full of burrows of these birds, magical !! Luangwa Ntl Pk, Zambia, Africa.